A new year is a great time to make a fresh new start. While this type of new beginning can take many forms, one of the most significant and powerful options is creating an entirely new space. By establishing a fresh environment, you can in essence start a ripple effect of change and growth. Your redone space can give your life a whole new attitude and this fresh feeling can be the spark that motivates you to embrace other changes in your life or to take a chance by trying something challenging and exciting you’ve been contemplated for a while. 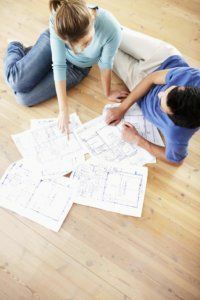 Unlike many other resolutions and vows that the start of a year often brings, a renovated space will last a long time, and can continue to have a positive impact on your life for quite some time. The terrific original space can have significant symbolic meaning, especially if you have been through some challenging times recently or otherwise feel the need for a major directional change in your life. This process can be a physical representation of the fresh approach you are taking with your life in general. The mental benefits of enjoying a totally original and innovation space can in turn jumpstart your own personal do-over. If you want to do a Phoenix home renovation project in the New Year, RW Remodeling would love to help.